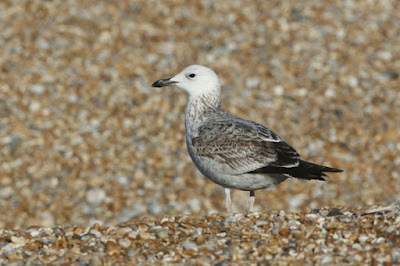 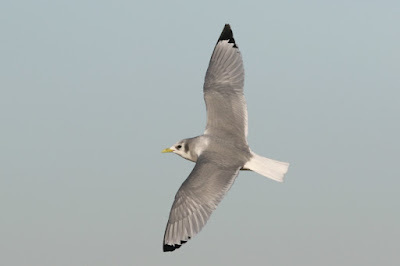 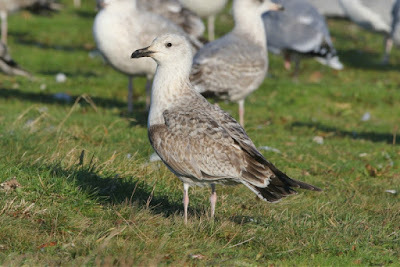 A quick trip down to Dungeness today with Dante and Josh was nice and pleasant, particularly in the midwinter sunshine. We got down there mid-morning and headed straight to the fish hut and fishing boat area, where we almost found our first Caspian Gull of the day... or at least a gull that seemed to have Caspian Gull genes in it. 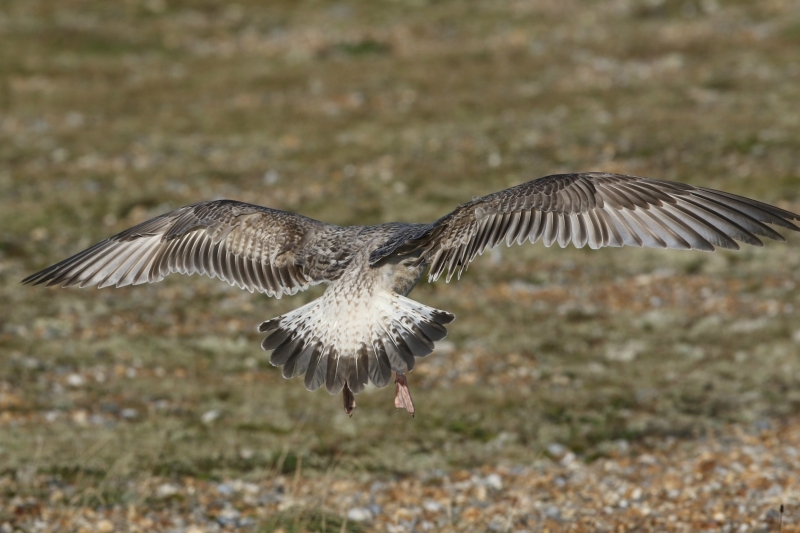 There was a nice 1st-winter Norwegian Great Black-backed Gull as well, which had been ringed at Langholmen, Rogaland as a chick on 28th June 2017 and was first seen at Dungeness on 11th November 2017. We headed off to Lade Pits for a bit of general birding, where a female Long-tailed Duck and a Slavonian Grebe were the highlights. 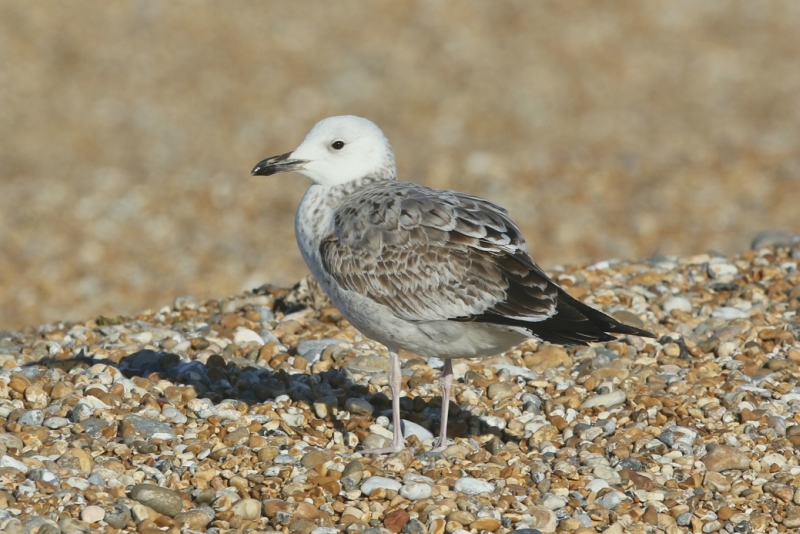 Once finished there, we headed back towards Lydd where there were a decent total of 16 Bewick's Swans (including 4 juveniles) in fields at Cockles Bridge as well as a male Merlin over there. 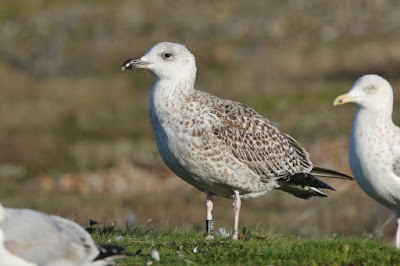 A quick check of the RSPB Reserve produced a good haul of Caspian Gulls - all from either the Makepeace Hide or Firth Hide, and all (an adult, two third-winters and a scabby looking, German-style 1st-winter) typically distant. So it was back to the reserve for the last hour or so of light, where the classy 1st-winter Caspian Gull from the fishing boats earlier this morning had relocated. And that was pretty much the last bit of action as the light failed, and the clouds started to gather. 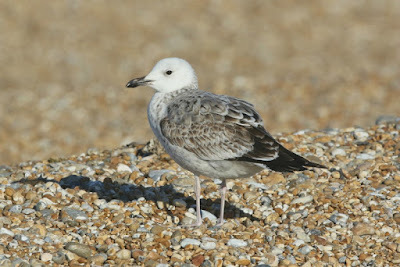 Not a bad day with a handful of Caspian Gulls plus a bit of back up more generally.